I started fishing at a young age with my father and grandfather, fishing for whiting. From that day on if I was not surfing or diving I was fishing. I started fishing comps in 2000, on the Bass circuit as a non-boater. 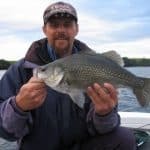 I found while competing alongside some experienced anglers, as a non-boater, It gave me the opportunity to watch learn and develop my own techniques and build my confidence. 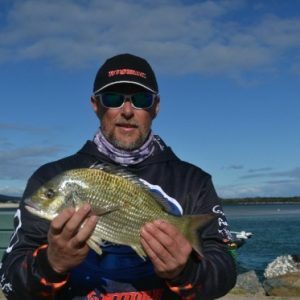 I moved to a boater roll in 2004, fishing both Bass and Bream competitions, entering as many comps as I possibly could between Qld and Vic with some good results. When I’m not fishing in competitions, I am social fishing the local rivers and dams for Bream, Jew fish, Bass or off shore chasing snapper. 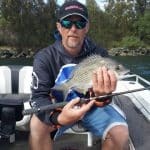 I enjoy fishing in team comps & social fishing with my team mate Wayne Bale. Wayne and I have been fishing as a team since 2008. 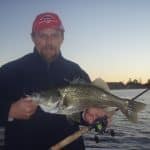 We compliment each other’s fishing styles as he excels in top water fishing where I am better with light weight soft plastics, favouring 2 & 3/4inch Jerk Minnows on Gamakatsu worm hooks. I am just learning to use 40mm semi-hard Minnows (yellow shartreuse),which are quickly becoming a favourite. I will be happy to help you and show you the great products from Froggleys.